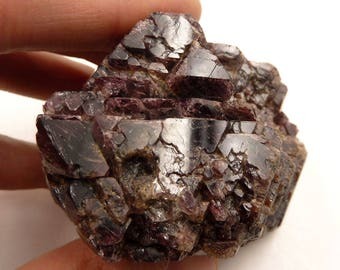 Spinel is often called the great impostor of the gemstone world, being that is has been mistaken for all sorts of other gemstones, occasionally on purpose to deceive a customer. Spinel is commonly mistaken for Ruby, Sapphires and Tanzanite. Of the worlds crown jewels, most of what was thought to have been rubies, are sometimes spinel. The most infamous is certainly Prince Edward’s (the Black Prince, eldest son of King Edward III of Britain in the Middle Ages) magnificent 170 carat red “Ruby” that it is said he boasted about regularly; which currently adorns the Imperial State crown in the British Crown jewels, was discovered in the 1940s to actually be Red Spinel not a Ruby at all. Another example would be the 352 carat stone currently owned by Queen Elizabeth, the Timur Ruby, which has the names of all the Mighal emperors who previously own it, engraved on the face…turned out also to be Red Spinel. Spinel is now a gemstone that is treasured for its own beauty, it’s wonderful brilliance, hardness and wonderful range of spectacular colors. Their one ‘black mark’ is that often they are used to create a number of imitation birthstone rings, and as such people often believe the Spinel to simply be a fake. Spinel is said to be able to clarify thoughts and creative ideas, as well as attracting the help that is required for any given situation. A stone of immortality, Spinel will offer freshness to endeavors and initiate rejuvenation to that which may be beginning to degrade. Prev Post: How much does it cost for a Cinematographer?